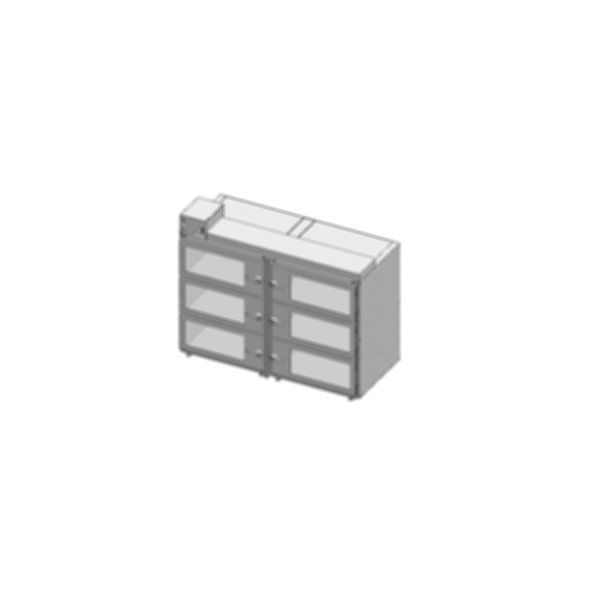 CAP19S-SST-6DR-DBL Desiccator Cabinets and inert atmosphere cabinets create sealed compartments that hold parts in a dry or nitrogen environment. They create a controlled environment for long-term storage of parts or material that will degrade when left in the normal atmosphere. Each compartment is sealed to form a separate, pressurized storage space. Clean Air Products, established in 1969, designs and manufactures high-quality cleanroom systems, including modular hardwall and softwall cleanrooms, pass-thru cabinets and air showers. We also supply laminar flow clean benches, fume hoods, and HEPA fans and filters. Products are available in standard, modified standard and custom configurations. We offer a full one-year warranty on equipment and carry a full line of replacement parts and supplies. All products are built in our facility with high-quality, superior-grade materials designed to last. Our experienced sales engineers will help you design a cleanroom or select components for your application, no matter your level of expertise. Call for information and free quotes. Although cleanroom technology has not changed significantly over the past 45 years, cleanroom requirements have become more stringent. More industries require varying levels of cleanroom facilities for research, production and testing purposes to meet USP, FDA and other industry standards. Clean Air Products is dedicated to providing industries the most up-to- date facilities that meet challenging expectations, whether your needs are for ISO 4 (Class 10) or ISO 8 (Class 100,000). We serve a broad range of cleanroom applications, including those in the semiconductor, medical device, bioscience, pharmaceutical, food and beverage, optics, aerospace/military, laboratory/research and general manufacturing and processing industries.